Offshore wind farms are finally arriving on US shores – and they’re doing it with foreign help. Plans to install Cape Wind, a 468 MW, 130 turbine wind farm in the waters off the Massachusetts coast just took a major step forward through a large investment from a Japanese bank. The financing makes Cape Wind very likely to become America’s first offshore wind farm. While politics and ghastly bureaucracies have thwarted efforts to adopt offshore wind farms in the US, coastlines across Europe are already using the farms to supplement their energy needs. Cape Wind’s developer, New England-based Energy Management Inc., themselves have been engaged in a prolonged and difficult battle to make the wind farm a reality. Now, with the help of the Bank of Tokyo-Mitsubishi UFJ, Cape Wind is much closer to becoming a reality – $2 billion closer. Last month the Japanese bank signed a term agreement to become the Coordinating Lead Arranger for Cape Wind. 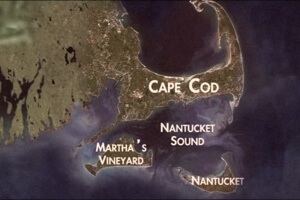 The money will pay for development and construction costs of the project, which is to be installed in the Nantucket Sound off the coast of Massachusetts. So as to not intrude on island residents and vacationers, all of the 130 turbines, each 258 feet tall from waterline to blade hub, will be located at least 5 miles from coastal properties over an area spanning between six to nine football fields. Jim Gordon, Cape Wind president, said the financing was one of the last steps needed before construction could begin, which he expects to happen by the end of the year. While the US is still waiting for its first offshore wind farm, much of the developed world has already dotted their shores with the towering turbines. Of the world’s 25 most productive offshore wind farms, 22 are located in Europe – mostly in the UK. The remaining 3 are in China. Between 2011 and 2012 renewable energy production rose by 21 percent in UK, the bulk of that increase being due to a 45 1/2 percent increase in power from offshore wind. 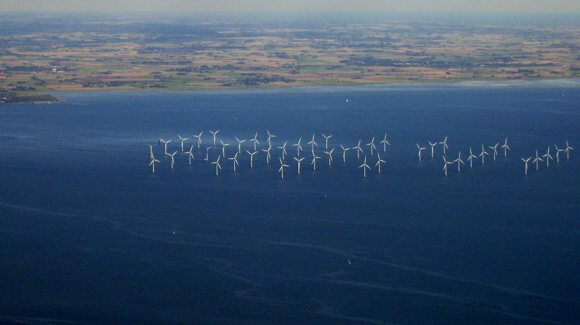 With 1,600 offshore wind turbines feeding over 3,800 MW capacity to the European grid, it’s obvious Europe has embraced the form of renewable energy yet to make its way across to the other side of the Atlantic. In his State of the Union address in February, President Obama proclaimed that “for the sake of our children and our future, we must do more to combat climate change,” and promised to take action that would “speed the transition to more sustainable sources of energy.” That’s all well and good unless you try to stick those sustainable sources of energy in people’s backyards. With high, constant winds and shoals that remain shallow for miles, conditions along the northeast coast are ideal for wind farms. That’s what Gordon thought when he had originally proposed Cape Wind back in 2001 – he had no idea how hard it would be. To summarize a drama that has been the topic of two books and a documentary, everything from “visual pollution” to the “desecration of Indian burial grounds” have been thrown at Cape Wind to halt its path to the Nantucket Sound. Energy Management Inc. had to slog through government studies, regulatory reviews, public hearings and environmental lawsuits – the most daunting from Massachusetts liberals who want renewable energy, they just don’t wnt it near Nantucket. Consulting agencies assessed the impact construction would have on people, wildlife, waterways, soil, air quality, air travel, and other possible disruptions. Estimates of the number of birds and bats would be killed in turbine blades were made. And to assuage (or confirm) fears from coastal and island residents fortunate enough to have an ocean view, simulations were created to show how the turbines might appear from shore and even to boaters in the area. It was only after fighting its way through the thicket of regulatory hurdles and lawsuits that Energy Management Inc. was able to obtain approval from Massachusetts last year, with the Tokyo-Mitsubishi signing shortly thereafter. In all, it took 12 years and at least $65M to finally gain that approval. “Most projects and most developers that would get involved in a process like that would probably throw their arms up and walk away,” Gordon told Huffington Post. “And for some worthy projects, that would be a shame.” Now that Gordon stands victorious at the Massachusetts coast, ready to guide America into unchartered energy waters, Cape Wind opponents will undoubtedly do their best before construction begins to sink the project before it sets sail.